This is the book that re-ignited my interest in learning. It led me to understand the ‘sight-size’ method of drawing for the first time, and was an introduction to the Atelier system of instruction. Written by my teacher at Sarum Studio, this covers the method, philosophy of seeing and historical accounts of sight-size as a portraiture technique. At nearly 100 years old, this is a serious book filled with insights and theory about drawing. The rather archaic language takes a little bit of getting used to, and it is a book so filled with information, it could be re-read several times. A great companion to Speed’s book on drawing, this covers the practical aspects of painting from life. Discussing technique, as well as sections on mediums, varnishes and grounds etc, this is again an authoritative and serious work on the subject of oil painting. I love this book. Each chapter follows on from the next in an intuitive manner that makes reading it straight through a pleasure. The language has humour and warmth, making some quite sophisticated theory easily digestible. I think this is a must for anyone interested in direct painting. Look out for the section on colour mixing – creating swatches for your entire palette is time consuming and I hated doing it, but it pays dividends and is worth every bit of work. 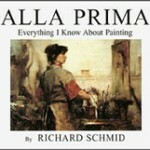 Do check this book out on Amazon, but buy it directly from Schmid’s website. It is much cheaper. 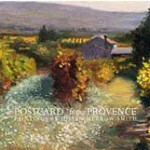 Postcards from Provence is less a teaching resource in the style of the other books listed here, and more an excellent reference book containing over 140 full colour plates of Merrow-Smith’s daily paintings. The small scale of his work means that they are printed more or less actual size, so you can effectively study the mark-making and construction, learning as you do so. You can buy from Amazon or directly from the artist. Check out postage costs to work out the best value option. 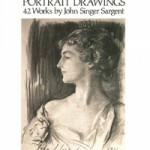 Quite simply, a wonderful reference book of John Singer Sargent’s portrait drawings. The fluency and technical skill displayed here is beautiful and inspiring. Given the speed at which things change online, I have decided to remove and update my list of web resources. I’m currently compiling a new collection of inspirational and educational websites that I have found helpful, and will upload them soon.